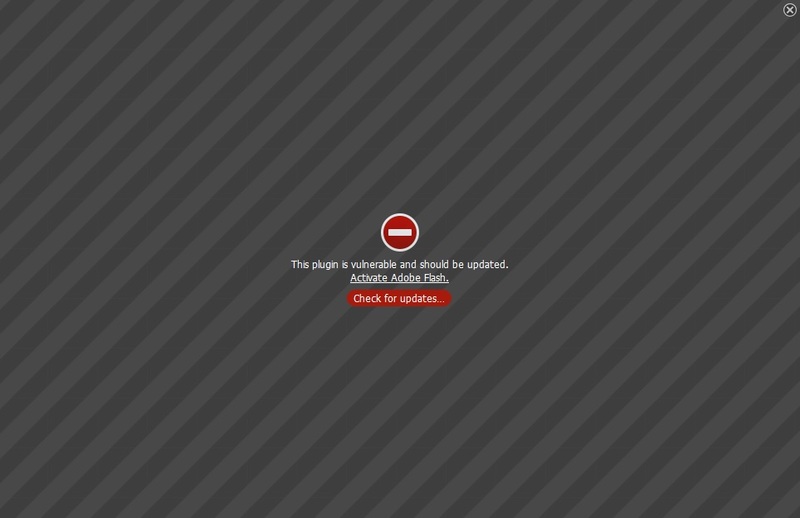 Adobe has released a fix to their Flash Player to correct this issue. You can download the updated Adobe Flash Player here. 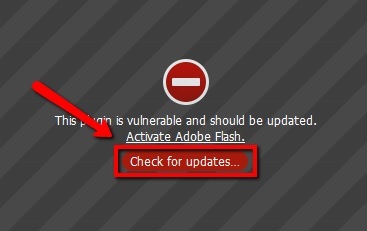 Update your Adobe Flash Player - you can simply click on "Check for updates..." to update your Adobe Flash Player or you can also open your Mozilla Firefox browser and check your Plugin Status and update it here. 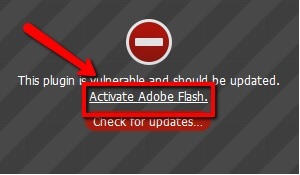 Click on "Activate Adobe Flash" - You can set to temporarily activate Adobe Flash or Activate and Remember your option. 1. Click the Firefox Menu button and open the Add-ons Manager tab by clicking on "Add-ons"
3. Look for Shockwave Flash on your list. Just across, you should see a drop down menu where you have the option to select what setting you would prefer for your Flash Player. Depending on your preference you can set it to "Always Activate", "Ask to Activate" or "Never Activate". 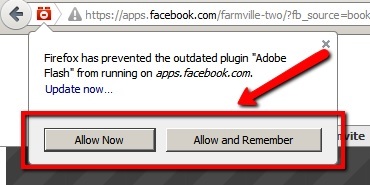 Note*** If you opted to set your preference to "Ask to Activate", the next time you visit a website that requires Flash, you'll have to click on the Activate Adobe Flash prompt to allow the plugin to work. The missing content will load normally again, if not, please reload the page and try again. As always, we'd like to thank you for your continued support!